A sleuthing substitute teacher comes up against a Pacific Northwest legend as she searches for a killer. 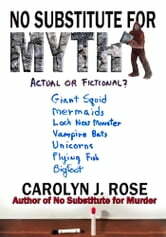 Barbara Reed doesn’t know if she believes the legendary creature exists, but evidence is stacking up. Something big is scavenging for food in city parks. Something tall and heavy left footprints across a dirt parking lot. And something huge and hairy careened into her one night on the riverfront trail. Did that same creature kill a man and drag his body into a swamp? Or was the killer human? Will justice be undermined by media frenzy, a tide of tourism, and hundreds of hunters? 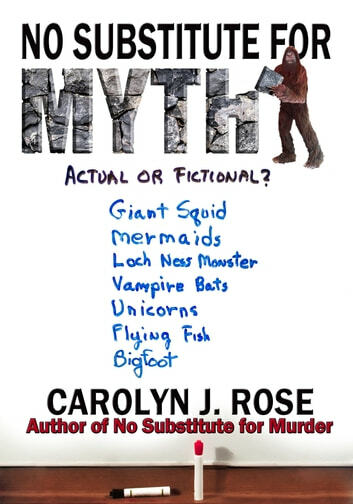 With help from the usual suspects, Barb, her drug-cop boyfriend, her pearl-powered wealthy neighbor, and Cheese Puff, her less-than-loyal dog, set out to solve a mystery, catch a murderer, and bust a few myths along the way.